We're up at my mom's house for Christmas this year. John Denver and the Muppets Christmas album has been on repeat. 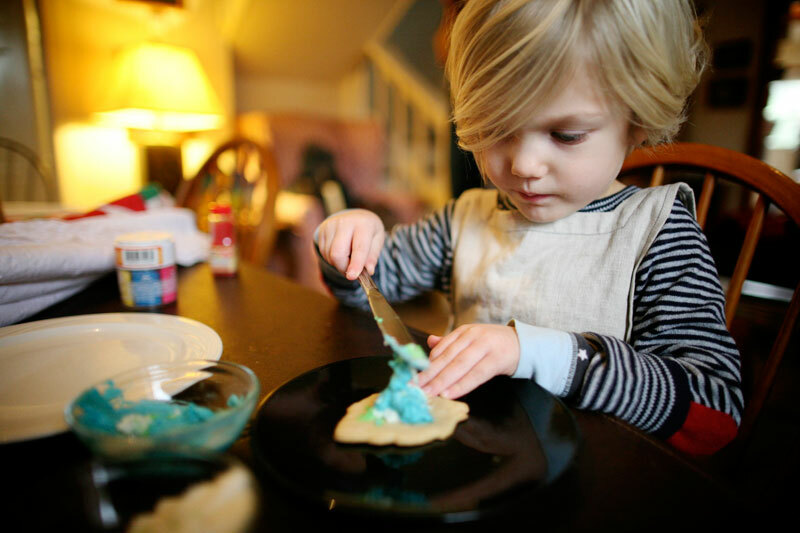 Every Christmas Eve we make cookies for Santa and my son gets to have his annual cookie. It's a highlight in our normally sugar-free household. 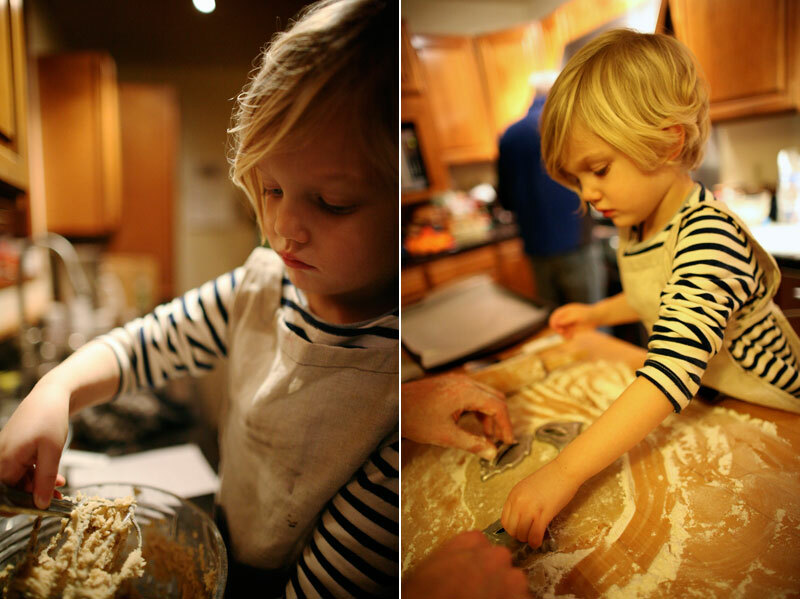 "Making cookies for Santa" was on the agenda as part of our advent calendar. It was really fun using the cookie cutters that I used to use as a kid with my mom. Christmas morning came early, which is obviously no surprise to anyone. It was barely light outside when we started opening our gifts. Our son is the only little one on my side of the family, so the attention was quite focused on him. Next year will be a different story (did you see this funny that Honest Toddler posted this morning?) The wishes of our sweet 4 year were granted in the form of drums, a little umbrella for when it rains, Legos, and a "playhouse" (dollhouse). My brother and parents lucked out and found an awesome Plan Toys house sitting in a corner of a local hobby store for $50 (retail $240!!). 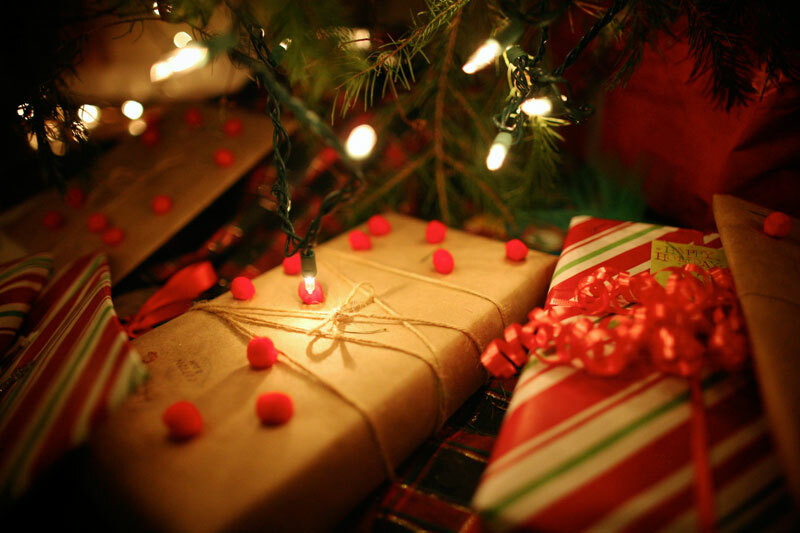 We had a great time wrapping presents this year. Our advent activity the other day was to wrap presents together. I wrapped up using kraft paper and twine and my son added the red pom-poms (with gobs of elmer's glue!!). I knew it would be a fun, doable project that would look great! Here are a few photos from Christmas Eve and Christmas morning. What are you up to today?